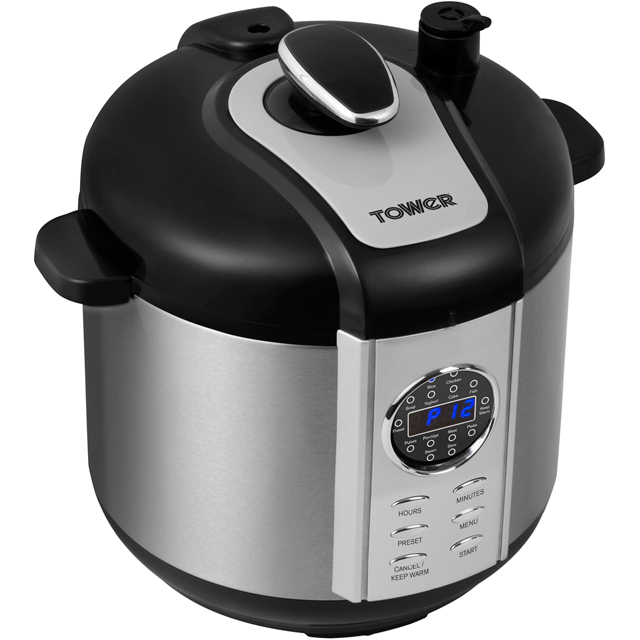 Whether you’re preparing a hearty casserole or a delicious chicken dish, this Tower pressure cooker will make a great addition to your kitchen. Its 6 litre capacity gives you plenty of space to feed the whole family. And, with a 1100 Watt power output, your meal will be ready in no time. It has 3 accessories including a measuring cup, rice spoon and steaming rack, to make cooking that little bit simpler. There are 5 settings to choose from too, so you’ll always have the ideal option to steam, braise and sauté your food, or you can effortlessly cook rice to perfection. After you’ve finished eating, it’s really easy to clean as well, so you won’t have to spend hours scrubbing it. Love it totally. Makes fabulous family Meal's in minuets . There are no cooking smells you can set the timer so the food is ready to be served up when you get home from work or a day out. Just put ingredients in the pot and the magic of flavour some cooking takes place and it's so so easy to clean. Best cooking pot ever.